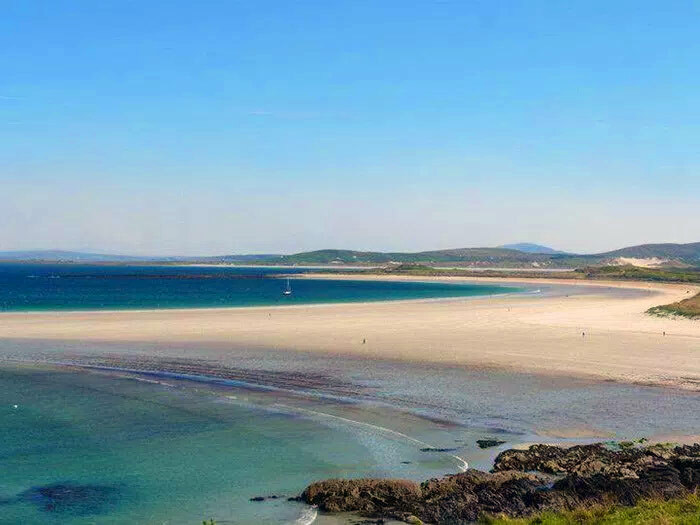 The island lying approximately 600 metres from the shore is accessible at low tide from the blue flag beach of Narin. There are the remains of two churches and a graveyard there. This was the former Monastery of Conal Caoill (meaning Conal the slender) which was founded in the 6th Century. It was reputedly attacked by Vikings during it’s early years. Local folklore tells the story of how Conal’s friend and fellow monk, Dallan Forgaill (Blind Forgaill) was killed and beheaded during one of these raids, with the head being thrown into the sea by the attackers. Conal prayed for the return of the head, so that he could give his friend a proper burial. After much prayer, Conal looked up to see the head bobbing on the waves, from where it was grasped and brought to shore, and given a christian burial. The island was a source of pilgrimage (turas) for many years and there are small mounds of rocks (cairns) towards the rear of the island, where pilgrims used to circle and recite prayers for their special intentions, having brung a small rock to throw on the cairn, as part of their devotion. 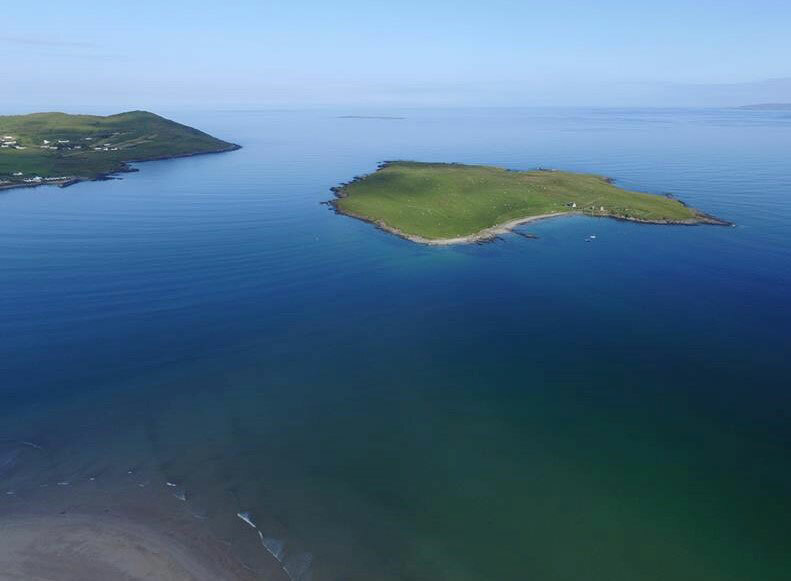 The blue flag beach is 1.5 km in length, courting the Championship Golf Course of Narin and Portnoo Golf Club. The beach offers safe bathing, and at its terminus is the stone outcrop of Carraigfad (Long Rock). For the more adventurous walker, a swift trip across these rocks and along the edge of the golf course will take you to another quieter beach of 1 km in length, where (if you’re lucky), you’ll see some basking seals at the entrance to the Gweebarra bay at Cashelgolan point.